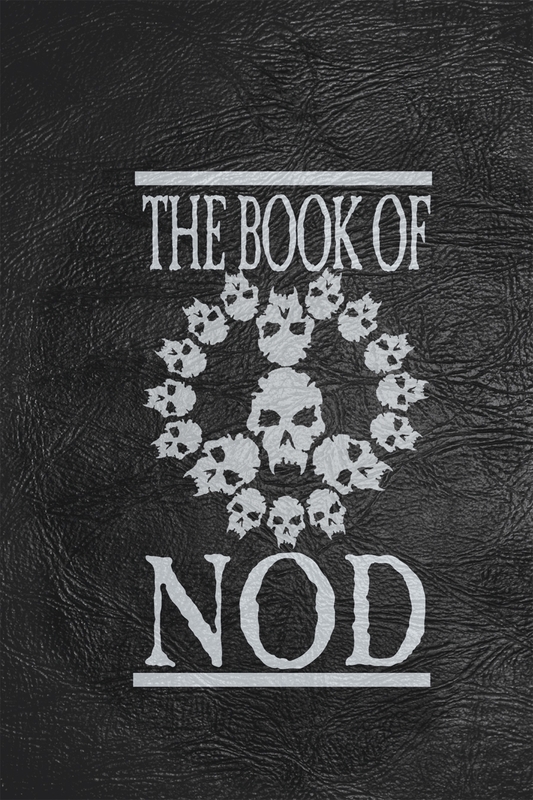 It was already in print in standard softcover, but now the Book of Nod is available in premium hardcover! We know this is a Black & White book, but because it is an art-heavy artifact book, we are using the Color printing process to present a prestige quality edition of a fan favorite book. 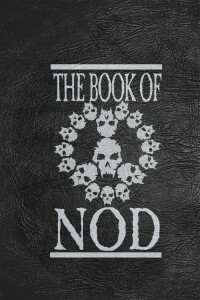 I was lucky enough to have gotten a hardcopy version of the Book of Nod with the Collector’s edition of Vampire: the Masquerade – Redemption way back in 2000. Even if this new printing doesn’t have the silvered edges and the ribbon, it’s still a very nice book with excellent print quality and fantastic artwork. Nice to see it making a reappearance. Ooooo! I wonder if the Ericyes Fragments, Revelations of the Dark Mother, The Black Spiral, the Fragile Path, and the Silver Record will also be getting this treatment? Of course, I would also love to see a third set of fragments of the Book of Nod to go with the extant Ericyes Fragments and the Babylonian Fragment that is the classic Book of Nod book. Because, you know, having more fragments with different and contradictory info is great for when one is ICly playing a Noddist Scholar..
We have no plans at the moment to do the same with the other chapbooks, aside from making them available in print. Of course it is possible that plans can change in the future isn’t it? I would love to have Ericyes Fragments and Revelations of the Dark Mother in a deluxe hardcover, plus possibly an additional installment of Vampire Mythos to page through.